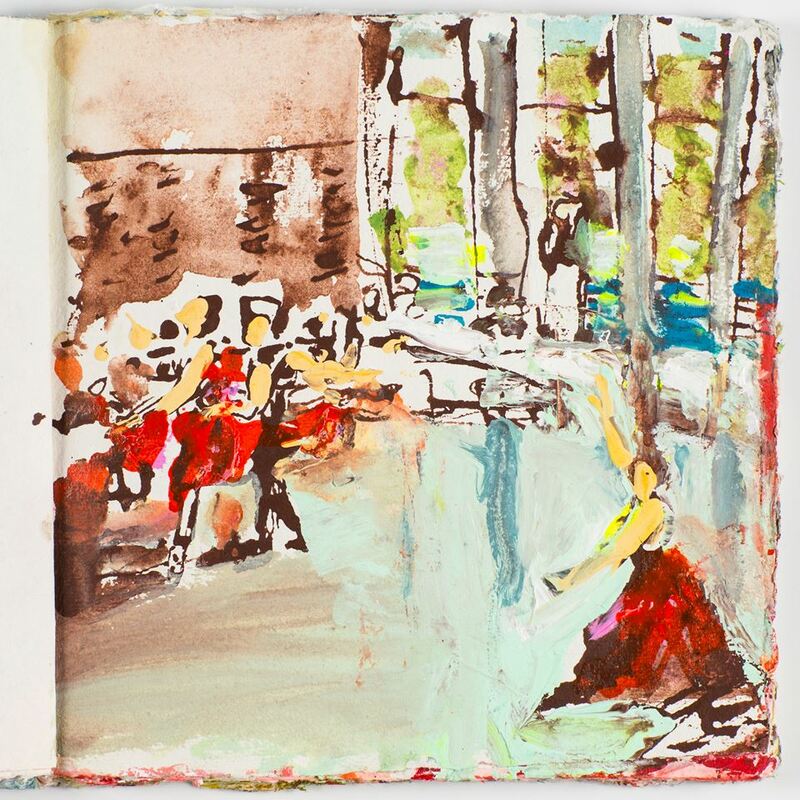 Visual Thought, on display in the Kistner Atrium, gives visitors the chance to peek behind the curtain of creative thought via artists’ sketchbooks. Sketchbooks offer the space to experiment and tweak ideas. They capture moments of inspiration and are repositories to revisit ideas when there isn’t enough time to make each creation a reality. Looking at the inside of an artist’s sketchbook is like looking at a map of an artist’s creative thought.